Creating a Facebook ad campaign guarantees only one thing: Circulation. Facebook can’t force users to click. They can’t force users to buy. Facebook can only show users your ad. And it could be an awful, pitiful ad. To you, the advanced Facebook marketer, this may be obvious. But far too many advertisers believe that they are paying Facebook to give them engagement, sales and conversions. Facebook gives your ad — whether good or bad — the eyeballs. You’re responsible for the conversion. Facebook does everything they can to make it stupid proof. They provide seemingly unlimited, powerful tools to target your ideal customer. Target your email list with Custom Audiences. Target people like them with Lookalike Audiences. Target users based on buying histories with Partner Categories. Target users who visited your website (with FBX, even in the News Feed), for crying out loud. They even optimize your audience to give you a better shot at success. They optimize for a specific type of conversion like a purchase or form completion. They optimize for a specific action like a link click, Page like or post engagement. Meanwhile, you create that one, crappy ad. And you complain when it doesn’t work. Your ad didn’t convert? It’s your own fault. Accept this. Not every campaign I create succeeds. But I don’t dwell on the failures. 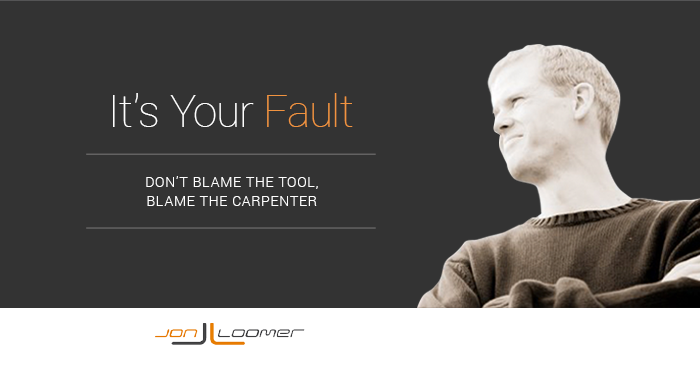 I learn from my mistakes rather than blaming the tool and I create a better one. A saw doesn’t build a table. A hammer doesn’t build a house. A carpenter does. If those products are failures, do we blame the tools? That’s what I’m seeing from novice Facebook marketers — the beginner carpenters, if you will. They invest in the best possible hammers and saws, but they neglect sharpening their own skills. When their efforts fail, they kick and scream about the tools. Do you already have a list of your customers’ email addresses? 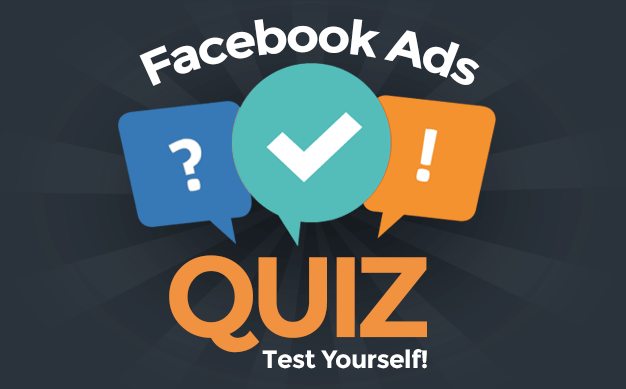 Target those people in Facebook ads! Are you starting from scratch? Determine who your ideal customer is and construct that person with the remaining tools. Don’t be a blind marketer who creates a campaign without understanding the desired action. Or without picking an ad type that fits that desired action. Forget about fluff engagement. What do you want a target user to do? Success and failure should be dependent on the cost of these desired actions. Measure them. Optimize for them. Is the goal of your campaign to drive sales? Have Facebook optimize for it. I constantly hear about ROI, and how difficult it is to measure through social media. It’s not, at least not in terms of advertising. Want to increase sales? Set up an offsite pixel and have Facebook optimize your ad to those most likely to buy. And then break down your reporting by relevant stats like conversions rather than clicks. Don’t simply promote and broadcast. Mix and match your copy. Experiment! People typically respond to other people. So use faces. But always? Don’t ever assume absolutes. Find the right imagery for the right copy! Try many different ads, using various copy and imagery. Also experiment with broad and precise targeting. Is desktop News Feed more effective than mobile? Do Partner Categories work? You can’t simply shotgun your campaign and check back in when it’s over. You must monitor them to maximize your ad spend! You’ve already determined your desired action. Find which ads are least efficient and stop them. Escalate those that are working.